For families who need a spacious, comfortable and rugged full-size SUV, Chevrolet's full-size entries have long been the go-to vehicles. With their stout, truck-based underpinnings, these vehicles are ideal for towing and off-roading duties. But until recently, their interiors were seriously lacking in terms of build and materials quality, compared to most rivals. That all changed with last year's redesign that introduced a handsome, well-tailored cabin as well as improvements to ride and handling. Last year's revamp also brought a deceptively aerodynamic body that contributes to a quiet highway ride. And although it's not exactly nimble, the Chevrolet Tahoe is a couple of feet shorter than its otherwise similar Suburban big brother and easier to handle in the cities and suburbs. The Tahoe's closest rival in the traditional, full-size SUV segment is the Ford Expedition. In a recent comparison test, we ranked the Tahoe second to the Ford. Certainly, both are capable and spacious utes and each offers a few advantages over the other -- the Chevy's got a nicer interior but the Ford's fold-flat third-row seat is much more convenient on a daily basis and its fully independent suspension provides tidier handling. But it's mostly a matter of splitting hairs, as both of these full-sizers are quite capable. That said, we encourage families to consider their needs carefully. Those who merely need room for kids and cargo will likely find GM's large crossover SUVs, the GMC Acadia and Saturn Outlook, or the Mazda CX-9, equally capable and more fuel-efficient. 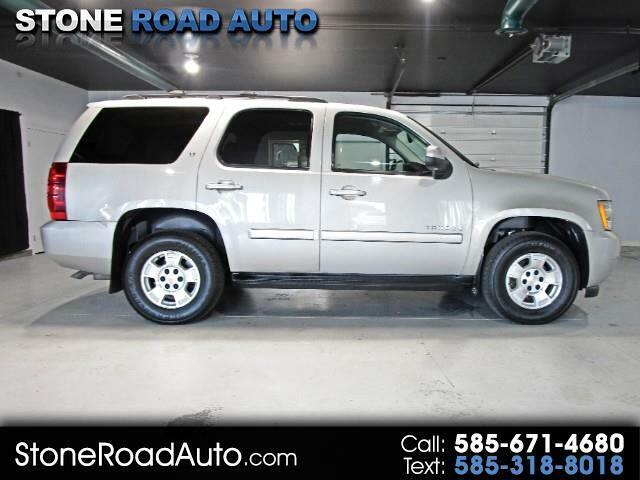 However, for shoppers truly in need of maximum towing capacity and/or a fair degree of off-road capability, the 2008 Chevrolet Tahoe, as well as its GMC twin, the Yukon, makes a solid case for itself.